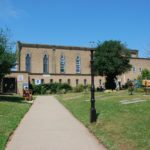 Since 2007 St Sidwell’s Community Centre has been run as an independent charity with a cafe, meeting rooms for rent and a lively volunteer programme. In 1905, electric trams were introduced to Sidwell Street as part of a city-wide network. By the early 20th century, Sidwell Street had more inns and public houses than other parts of Exeter. St Sidwell’s, along with Exeter, expanded rapidly in the 19th Century with the population increasing from 2,700 in 1801 to 6,600 in 1831. 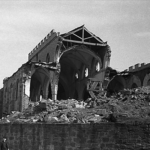 The parish was devastated in the English Civil War (1642 – 1646) when the Royalist defenders of Exeter cleared vast areas outside the city walls in preparation for a siege. St Sidwell’s strong sense of its own identity as a distinct area outside the city walls can be traced back to at least the 11thCentury. After the Norman invasion, King William the Conquerer camped here in Sidwell Street, just outside the East Gate, when he arrived to besiege the city in 1068. 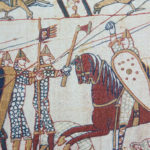 The Anglo-Saxons arrived towards the end of the 7th Century. In AD 876 the city was attacked and captured by Viking Danes. 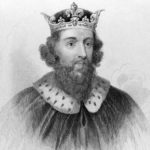 King Alfred the Great drove them out the following year. Following the Roman invasion of Britain in AD 43, the Second Legion Augusta built a fortress here in about AD 55. The Romans surfaced the earlier trackway with compacted gravel and it became one of the main Roman routes into the city, especially for travellers coming from the North East along the Fosse Way, the Roman road which linked Lincoln to Exeter. A settlement existed in the Exeter area in the Iron Age and Sidwell Street was almost certainly on the route of a prehistoric trackway leading to a spur of land above the River Exe which may have led down to a crossing point.